When our principal attorney, Larry Goldberg, founded our firm in 1967, he established the high standards of professionalism, client service, and plain hard work that all members of our legal team adhere to today. Over the years, our firm has evolved into a litigation boutique with a focus on personal injury lawsuits. In other words, we are court-experienced lawyers who will stand up to insurance companies when they don’t treat you fairly after an accident or injury. Given our successful track record and devotion to our clients’ needs, it is no wonder that people throughout Chester County still look to us when faced with an injury lawsuit. A law firm cannot stand the test of time if it does not treat its clients right. When you decide to work with us, your problem becomes our problem — meaning that we will always be focused on your long-term best interests, not on our own short-term gain. As part of our mission to accommodate your needs, we offer free initial consultations, make home and hospital visits when you can’t come to us, and start putting together an aggressive legal strategy from the moment you decide to work with us. After all, the sooner we can show the other side that we mean business, the more likely it will be that they cooperate with our terms. Our firm is known for its successes in personal injury claims, including complex medical malpractice, product liability, dangerous drug, defective medical device, environment torts, and occupational chemical exposure cases — to name a few. Since our firm’s inception, we have recovered millions of dollars in financial compensation for clients involved in these and other types of injury cases. One reason we have been able to accomplish so much is because of our extremely thorough approach. 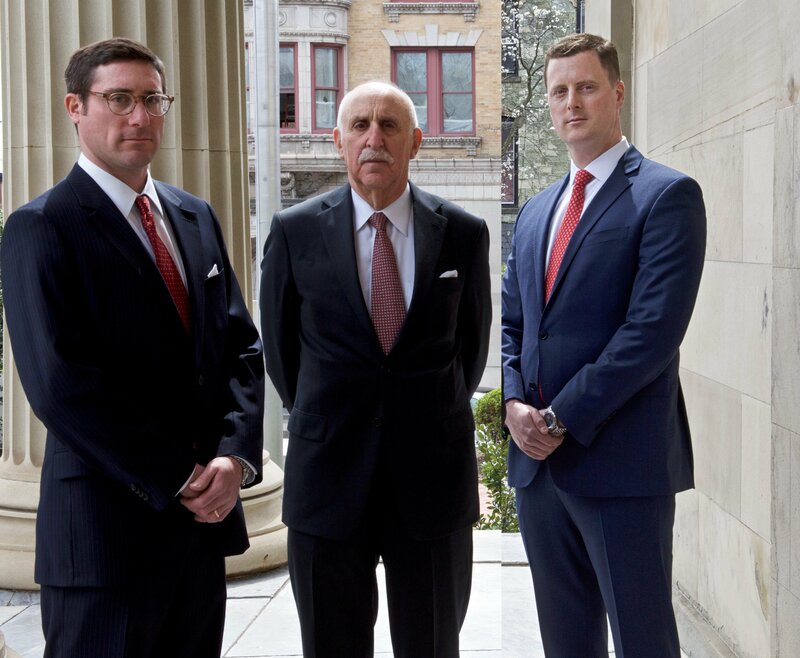 Between our attorneys — Larry Goldberg, Joel Goldberg, and Chad Maloney — we have litigated hundreds of cases involving injured persons. In each case, we use reliable accident investigators, photographers, and expert witnesses, and we frequently consult with experienced physicians so that nothing is overlooked in the presentation of our clients’ claims. It’s one thing to say that we’re effective trial lawyers and skilled negotiators, but we want to prove it to you. Explore our case results to see what we’ve succeeded in attaining for our clients. We warmly welcome clients from all walks of life, no matter the nature of their injuries or the value of their potential claim. We also take calls 24/7 so that you know you can get in touch when you need us. We regularly contribute to many local charities, including Brandywine Health Foundation, MADD, Coatesville Youth Initiative, WCU, Crime Victims of Chester County, Restart Your Life, and Renew Your Mind. Nobody wants to be involved in a lawsuit, but we strive to make the legal process as easy on our clients as possible. If any anxiety or concerns about payment are preventing you from reaching out, consider these three facts: 1) We have represented three generations of some area families. We treated them so well that they made us their go-to law firm. 2) Many of our cases are referred to us by other attorneys. This means that we produce such great results that other lawyers entrust their clients to us. 3) We work on a 100% contingency basis, and the percentage of pay we collect upon winning a case is less than most other personal injury firms. And, even after your case is settled, we will continue to assist you with any of your legal needs — very often at no cost because we sincerely want to offer legal services to those in our community who cannot afford to pay the high costs for quality representation. When you enlist our services, we will seek your input every step of the way and use our best judgment as we advise you. We realize that you are the injured person, not us, and this is your case, not ours. That’s why we will ensure that you are fully aware of your rights and options throughout the entirety of your personal injury lawsuit, and why we will relentlessly work to enforce each decision you make.